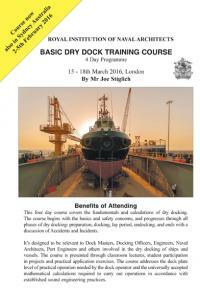 DM Consulting's Basic Dry Dock Training is a 4-day course that covers the fundamentals and calculations of dry docking. The course begins with the basics and safety concerns, and progresses through all phases of dry docking: preparation, docking, lay period, and undocking. The course ends with a discussion of Accidents and Incidents. It's designed to be relevant to Dock Masters, Docking Officers, Engineers, Naval Architects, Port Engineers and others involved in the dry docking of ships and vessels. The course is presented through classroom lectures, student participation in projects and practical application exercises. The course addresses the deck plate level of practical operation needed by the dock operator and the universally accepted mathematical calculations required to carry out operations in accordance with established sound engineering practices. "The course was excellent, straight forward and comprehensive. Instruction was great, expected "death-by-power point" but was pleasantly surprised. 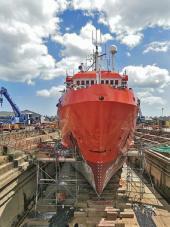 I am better acquainted w/drydock basic after the course and can trust the accuracy of the training based on the extensive experience of the instructors. Thank you! Very informative, very thorough." "Fantastic. Really good course. Personally, I got a lot out of the course and will certainly recommend it to my work colleagues." "Very informative. Subject matter which was dry, was taught without being boring. Class was great, learned a lot! Thank you." Please click here to view further comments for previous participants. Joe Stiglich is a retired Naval Officer, qualified NAVSEA Docking Officer and holds a Masters Degree from MIT in Naval Architecture and Marine Engineering. Responsible for over 250 safe docking and undocking operations. He currently runs a series of conference and training courses for personnel involved in all phases of the drydocking industry and acts as a consultant for ship repair companies. Course registration fee includes a bound training manual, lunch and refreshments. *VAT: Under UK Customs and Excise regulations delegates from all countries are required to pay VAT on any course taking place in the UK. Delegates from outside the UK may be entitled to reclaim this costs. 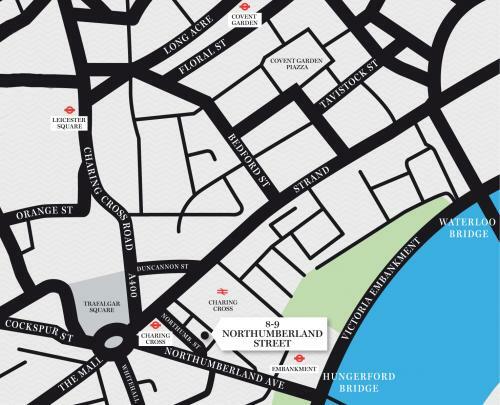 The course will be held at the new RINA HQ, 8-9 Northumberland Street, London, WC2N 5DA. 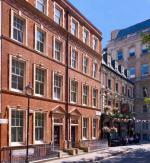 If you need any accommodation during your stay in London, www.hotelscombined.com the worlds largest hotel price comparison website, is offering support to participants of this conference. An exclusive 10% rebate is given to hotels booked via their website for all attendees.